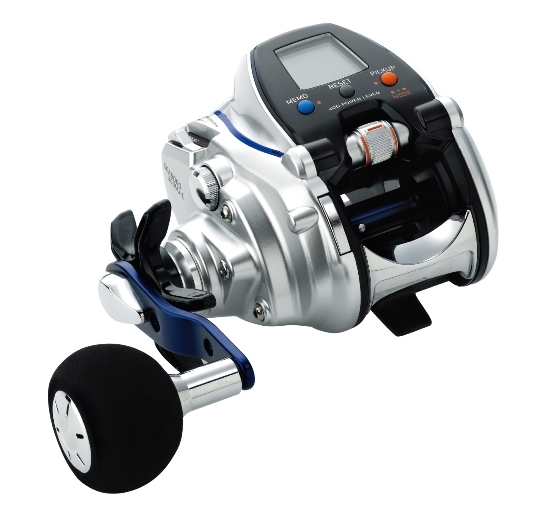 Compact but powerful electric reel as Shimano 3000 seriese, It has MUTEKI motor. Max widing 47kg! is a amazing power for this compact size. If you are interested in Shimano ForceMaster 800MK &; ForceMaster 1000MK, please contact us tackle@keiei-support.com any time !! Check how left handled electric reel works! Brand new electric reel released from Daiwa seaborg seriese. 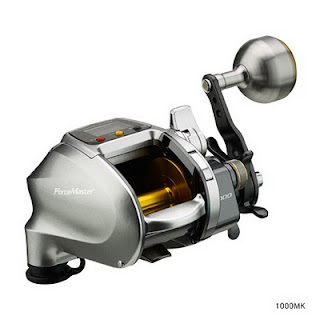 You may rearise the remarkable change of Daiwa seaborg 300MJ-L. The power handle is settled on left hand side of the body! Over the past 20years when small electric reel sold, the handle is settled on right hand side and it has not been changed. Then, where is the Power Lever? 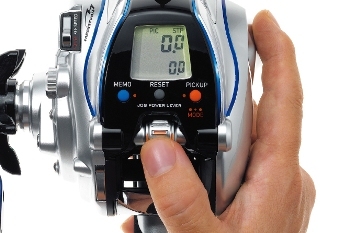 Conventional power lever from its position and shape, because it is designed to work with right thumb and index finger pinching, who holds a fishing rod that will inevitably left hand. Of course, it can also be operated with the left hand side right across the rod, and become quite unnatural posture is undeniable. 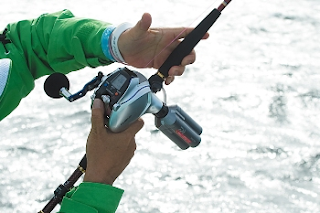 New Trend in offshore fishing has been proposed by DAIWA, "hand-held concept" results in pursuit of the power lever was born the next generation "power jog lever". The power lever on the center to the right of the body. By dialing the lever shape was changed yet, it became possible to manipulate with the thumb of the hand holding a rod. Its style, email and internet, it should be appreciated that the image of a user-friendly mobile phone games to work with one thumb up. 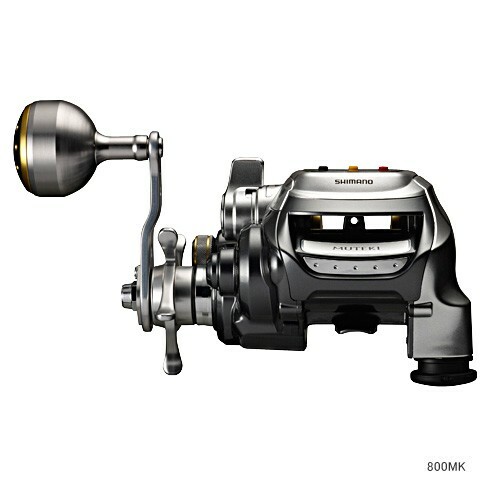 Most fishing is basic common sense rather than in the dominant arm to manipulate the rod. However, in that deep-sea fishing is partly due to handedness in favor of tree rings, and other general fishing opposite pattern. Great place for fishing rod issue is certainly not complete, take a fine technique, especially in the genre of the concept hand, rods can have more accurate and smooth operation in the dominant hand. In fact, If you look around in the boat, do the rod with your right hand, there are many anglers wind up having to change left hanging. LHD was first introduced in the electric reel, not only of South, said the new system was designed without changing hand fishing as can most efficiently to the right-handed people. If you are interested in Daiwa seaborg 300MJ-L, please contact us tackle@keiei-support.com any time ! !